Russian guitarist Artur Bayramgalin has already created some gems of smooth jazz. To mention are Interro Island (2009), Electric Breezz (2010), Perfect Day (2014), and My Seasons (2015). His new album Let’s Talk (2017) is just released on the freshly founded German Lemongrassmusic sub-label Lemon Jazz Records. Artur is supported on his new album by Artur Gimaev (trumpet), Anton Buzz (sax), Leysan Saripova and Elvina Mustafina (vocals), and Rustem Karimov (percussion). 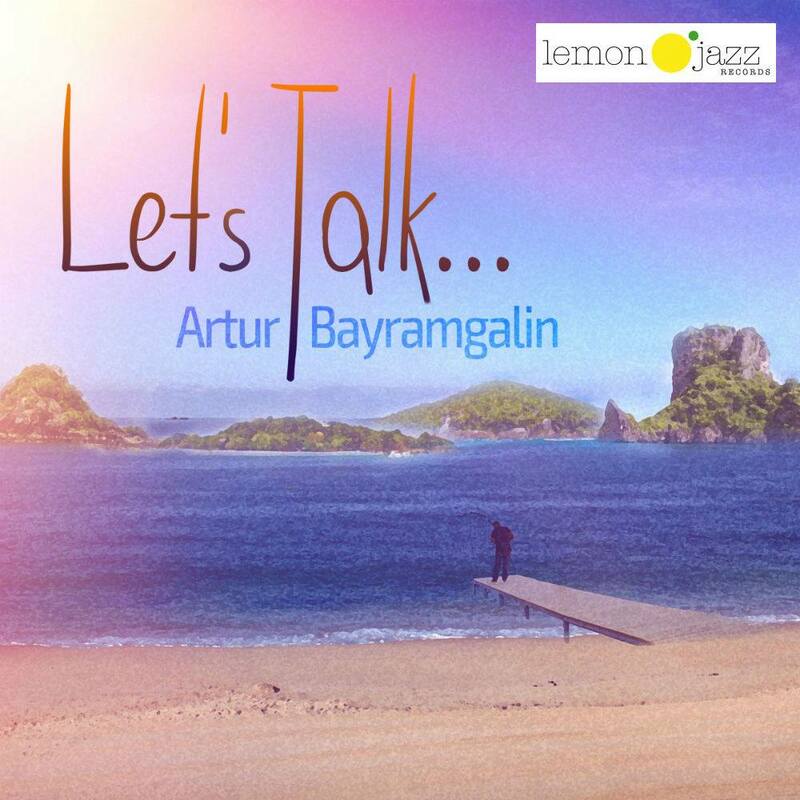 The album lifts off with Let’s Talk, an intimate conversation between Artur and the trumpeter Artur Gimaev, breathing the melancholy of a summer afternoon. Embedded in a Latin-inspired rhythm Artur celebrates the sound of his guitar on Intero featuring Anton Buzz on sax. Bayramgalin’s inner relaxed attitude gets its expression in his smooth-running guitar performance. With a swaying Samba beat he approaches the Tangerine Coast. The tangerine is an orange-colored citrus fruit that is closely related to, or possibly a type of, mandarin orange. The sweet fruitiness morphs into a rich harmonic declaration of lyrical independence. Drummer Tom Cohen mixes old with new in his fourth release, Joyride (2016). Accompanying Cohen are Benito Gonzales, piano; Kris Funn, bass; Mike Boone, bass; and on selected tracks, Tom Ries, tenor and soprano saxophones. After a brief introduction titled, “Desi/Lucy,” Cohen and the gang get busy with Wayne Shorter’s “Black Nile.” Gonzalez leads, with Cohen and Funn jamming it up in the background. It’s a high-energy, finger-snapping song. The piano rolls on a frenetic pace. At the midway point, the piano brings it way down, as the bass comes forward. After Funn’s solo, Cohen cranks up the heat, showing his dexterity in a back and forth with the others. The trio plays a sequence, then Cohen stretches out on his own. They do this several times before reverting to the theme. Sound of Fusion is a collaboration of the writing and playing of producer Jordan Biel alongside some of his friends, Jeff Sweigard, Jim Donadio, Mikel Lagaras, Ryan Robb & George Miller. Produced by Jordan Biel at The Cellar Studio A. All Songs written by Jordan Biel with the exception of Every Good and Perfect Gift, written by Jordan Biel & Mikel Lagaras. Sound of Fusion is an album meant for your late nights; it’s date night music at it’s best. 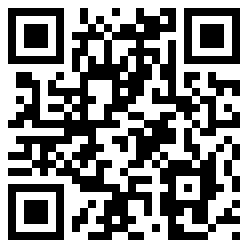 Get it at CDBaby. Inspired by the international attention received by his 2015 debut album One, young Budapest-based saxophonist Zolbert is now celebrating the release of his second album, Inside Out. The album features 13 brand new originals, including a vocal track with ace Hungarian vocalist Nicolas Takács. The new material was recorded exclusively with live instruments under the direction of Peter Ferencz “Peet” (from the Peet Project) who again took charge of production, mixing and mastering. Inside Out was released worldwide on Jan 20, 2017. Get the album at iTunes. His name is program. He looks young, he is Justin Young and very active. After his debut album Rendezvous (2005), he garnered success in 2007 with his sophomore album On The Way. In 2008 followed his next two albums, Nothin But Love and Home for the Holidays. 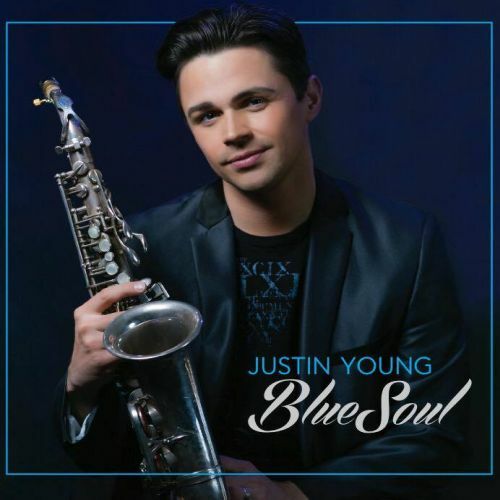 Now he returns with his new album Blue Soul (2017). The album kicks off with the promising Always There, a collaboration between Justin and saxophonist Jackiem Joyner. The tune fits nicely in the overall vibe of contemporary smooth jazz especially with the forward pressing beat. Nothing But Love runs with an armada of horn players to which East Bay Soul could be envious. Justin’s sax interpretation is well accompanied by a soothing choral group, which is however not mentioned in the liner notes. Razzmajazz has the main emphasis on an almost orchestral aura of the recording and the Rhodes piano solo by Noel Hall is one of the finest things I’ve heard in a long time. Jazz Along The 101 has the flair of a night-time stroll through the big city scene. The tune excels with an excellent sax arrangement and with Alex Al on bass, the late Ricky Lawson on drums and Noel Hall on electric piano the composition achieves merciless perfection. The band is new, but the relationships have a history. 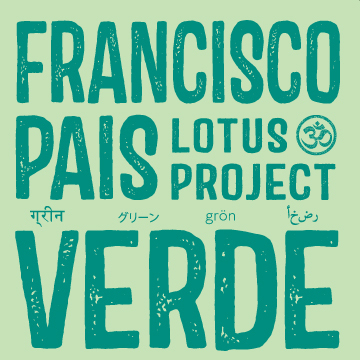 And that history makes a recording like Verde (Product of Imagination, 2016) by Francisco Pais possible. The musicians are Pais, voice and guitar; Myron Walden, tenor sax; Godwin Louis, alto sax; Julian Shore, piano; Connor Schultze, bass; and Fereno Nemeth, drums. Guest vocalists Genetta Kha and Jacklyn Chan appear on “Million Galaxies.” They have performed together in one configuration or another for about 10 years. “The Painter” is an upbeat, gear-shifting song. Guitar and sax are in unison for the main theme. The tempo is constant, but the leads adjust their rate of notes per beat as the song progresses. Shore, Shultze and Nemeth stay quite busy behind the leads, especially Nemeth. Louis and Walden carry the middle passage in turns, each making his instrument sing, grind and wail for emphasis. Seminal contemporary jazz super group Special EFX mark their 35th year of recording and touring in 2017 with the release of Deep As The Night their 21st studio recording and first celebrating their recent partnership with the Trippin ‘N’ Rhythm record label. Formed in 1982 the as the brainchild of the duo of Chieli Minucci and George Jinda, the combination of Chieli’s edgy driving style and George’s sense for temperament and melody struck a perfect balance and the rise of a distinctive new and original sound that incorporated heavy percussive world elements fused with smart, energetic, playful and memorable guitar lines. With the untimely passing of George Jinda , Minucci made the decision to carry on as George would have wanted it and continue what they had started when they signed as the very first group to join the startup GRP Record label who went on to become the preeminent contemporary jazz record labels of the late 80’s ,90’s and beyond. Deep As The Night marks a reuniting some 25 yrs. later with label executive Jeff Lunt who was in part responsible for wooing the band away from GRP in the early 90’s and signing them to the JVC Music record label and a new beginning for the band who would go on to record three classic records. Chieli Minucci, now the leader and driving force behind the band, has recorded and performed over the years with some of pop music’s biggest: Celine Dion, Lou Reed, Lionel Richie, Jennifer Lopez, Michael Bolton, Marc Anthony as well as some of the jazz genre elites, from Jeff Lorber to Kirk Whalum. Honored with a Grammy nomination for their Modern Manners CD, 10 Emmy nominations for his compositional work on The Guiding Light, of which he won three, his works in both film and television are well recognized writing and contributing music to Dancing With The Stars, American Idol, Good Morning America and soundtracks for No Country For Old Men, Bowfinger, Legally Blonde and Panic.